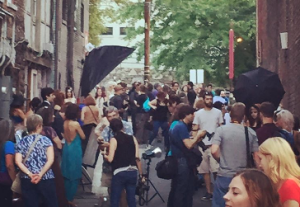 Fashion designers, models, photographers, stylists and gawkers gathered across downtown. The image above, courtesy of Duncan Chaboudy on Instagram, shows the gathering on Carolina Lane in downtown. Chaboudy says the event is a way “to bring together photographers, models, designers, stylists, and artists to hang out for two hours and create unique and original images.” It is impromptu. It is open to beginners and to professionals. Most of all, it is a way for the Asheville fashion community to come together, collaborate and show off a little. This photo gallery shows what can result from the FashMob gathering. 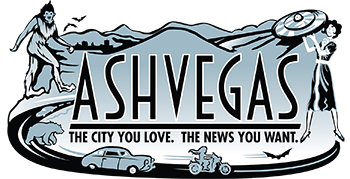 Asheville photographer Stewart O’Shields shot these photos for Ashvegas.com. Enjoy. So much fun! It’s great to get out and stretch your creative legs and there is some fabulous work coming from within this community. Also, photogs are posting with #fashmobavl on Instagram if you are interested in following as edits are wrapped.